Apparently a lot of the Republican excitement from Hollywood actor Fred Thompson&apos;s candidacy is his thick, booming voice. Really? You&apos;re gonna pick a guy based on his voice and Fred Thompson is the guy you pick? I see your loony reasoning and raise you one. I hereby submit to the Democratic Party the presidential nomination of America&apos;s premier voice - Mr. James Earl Jones. And as his running mate, America&apos;s second best voice - Mr. Morgan Freeman. 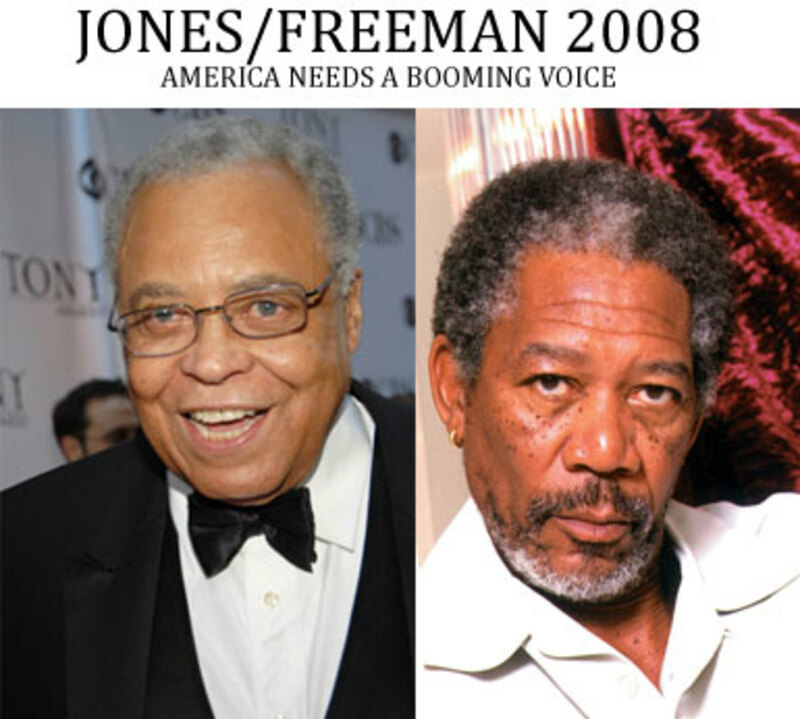 Not only do Jones and Freeman&apos;s voices outboom Fred Thompson, but both have won major awards - including an Oscar for Freeman and an Emmy and Tony for Jones. Thompson received no nominations for "Baby&apos;s Day Out".